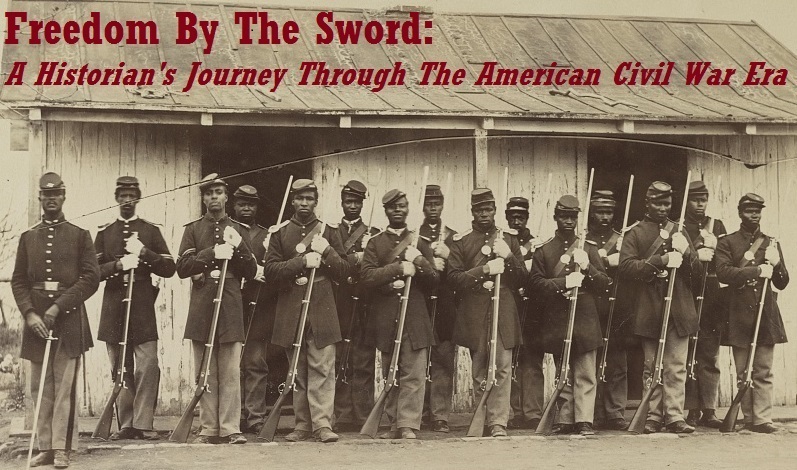 Freedom by the Sword: Civil Discourse: A Memory? Professor Price - I would agree with your assessment here. While its no secret that Kevin and I rarely agree, this is one of those situations where the accusations and comments at his blog were over the top. I think a lot of "secular" folks would be surprised at the level of Civil War scholarship at Liberty. Their annual seminar has hosted such diverse speakers as the Chaplain for the Sons of Confederate Veterans and Professor George Rable. You mentioned Professor Rowlette. Kenny is a personal friend of mine and his work behind the scenes at Liberty promoting the school's teaching of Civil War history, including helping to found the National Civil War Chaplains Museum, is invaluable. Liberty has a lot to offer for students of the Civil War. I don't know if you've ever visited the Chaplains Museum but if you haven't, I hope you will find the opportunity at some point. I believe you'd enjoy it. Thank you for bringing some balance to the discussion. Thanks, Mr. Price. Your points are well taken. I tried to respond the one of Harrigan’s comments at Levin’s blog, but was censored. Levin and his followers continually lament a long lingering racial injustice in the south was the principal legacy of the war. It’s their chief focus, presumably because they can blame white southerners for it. However, they perpetually fail to discuss an even more lasting legacy, southern poverty. In 1860 seven of the states among the top ten as measured by per capita income joined the Confederacy. One hundred and fifty years later, only one (Virginia) made the top ten list. Instead, seven of the former Confederate sates ranked in the bottom ten (41 – 50). A classic example is Mississippi, which ranked number one in 1860 and dead last (50th) in 2011. Levin also repeatedly credits northerners for promoting racial equality in the south after the war. He applauds the Republicans for funding the Freedman’s Bureau. But he never mentions that such federal spending did not cost northerners anything. For example, they taxed cotton and raised $68 million in just a few years, which was almost three times the amount invested in the Freedman’s Bureau during its entire existence. Since the great majority of cotton was exported, the tax could not be passed along to buyers. Prices on the international markets were competitive to the Nth degree. Buyers would not pay extra for American cotton when supplies were coming in from Egypt, India, West Africa, and Brazil. Moreover, the cotton tax was a de facto export tax, which is prohibited under the US constitution. Since cotton prices dropped after the war, the tax averaged about 25% of the value of a bale. The lasting policies of the Republican Party were harmful to the South. Republican’s abandoned the black southern voters less than a dozen years after the war, because Republicans no longer needed them for votes, whereas earlier they did. For example, without the black southern voter in 1868, Grant would have had fewer popular votes than Democrat Seymour. Grant got 400,000 black votes to Seymour’s 50,000. It is a clear indication that Republican insistence upon black suffrage in the South was at least partially motivated by politics instead of altruism as so often implied at Levin’s blog. Incidentally, the Republicans only demanded universal black suffrage in the South whereas they left it as a state right at the North. I’ve never seen that mentioned at Levin’s blog either. While advocacy for the rights of African-Americans was not a lasting Republic policy, high tariffs, lax regulation of monopolies, and monetary policies discriminatory to the South were. For example, after the war the tariff on dutiable items averaged 45%. It remained high until Woodrow Wilson became president fifty years later. Since the southern economy remained reliant upon exports the prices southerners received on free markets provided them with no artificial protections as did the tariff for northern manufacturers. Banking regulations made it hard to start banks in the South thereby leaving the region dependent upon northern bankers. 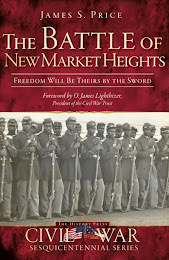 As a follow-up, it may be noted that there was little federal aid to the South after the war. As explained, the Freedman's Bureau was funded several times over from revenues obtained from the cotton tax. But let's also look at federal public works spending. From 1865 - 1873 less than 10% of federal public works spending was in the South although the region had a far greater need. During that period Massachusetts and New York alone received more than twice as much as all of the former Confederate sates combined. While Levin and his acolytes applaud Radical Republicans for promoting public services in the South, such as public schools, they fail to mention that the services were almost entirely paid for by taxes within the southern states individually. There was, at best, tiny federal investment. Yet, despite their extreme poverty, state taxes in the South were four times higher than before the war. It is NOT a fiction that southerners lost ownership of their land because they could not pay the tax. Carpetbaggers bought the great majority of such tax-deficient property, not African-Americans. Such points are seldom, if ever, discussed at Levin'g blog. In short, southern poverty was deliberately perpetuated as a means of transforming it into an exploited internal colony for the benefit of the North. It is only just now changing. Present day Detroit illustrates what the North would have become without the protective tariffs.